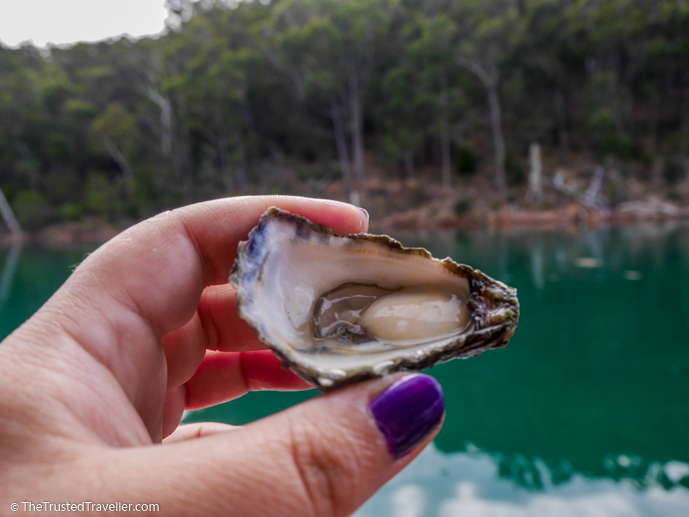 When doing our research for things to see and do along the NSW South Coast, the one thing that we noticed kept popping up was that we had to try some oysters. 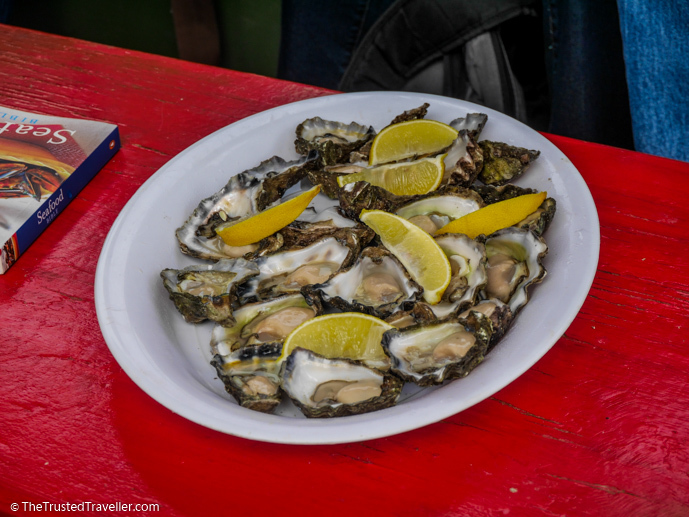 We’ve visited parts of the region many times before but never had we thought to eat oysters. So our mission during our two weeks, to eat as many oysters as possible. 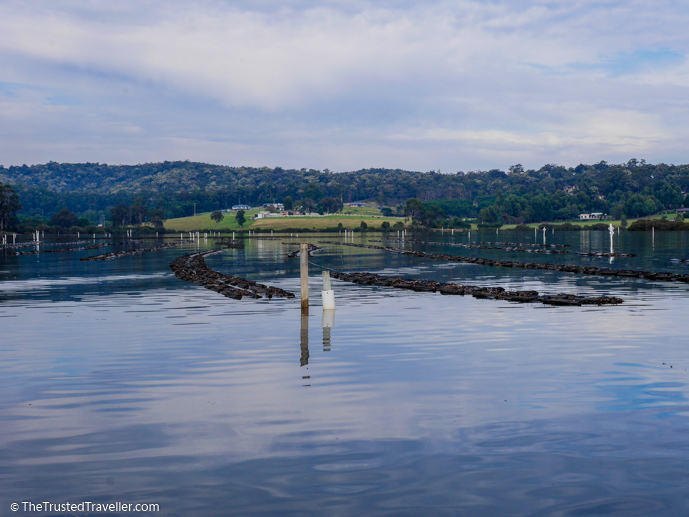 Of course we ate and enjoyed plenty of oysters during the two weeks at places like The Oysters Shed on Wray Street in Batemans Bay and The Whale Restaurant in Narooma, both of which are included in our top Eurobodalla culinary experiences. But what we really wanted to do was learn more about the oysters, the business of farming and the producers themselves. 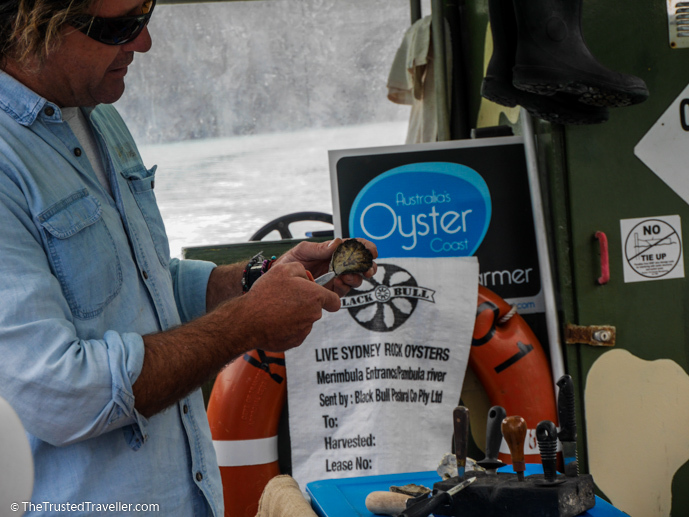 And we got that chance thanks to Captain Sponge’s Magical Oyster Tours in Pambula on the Sapphire Coast. 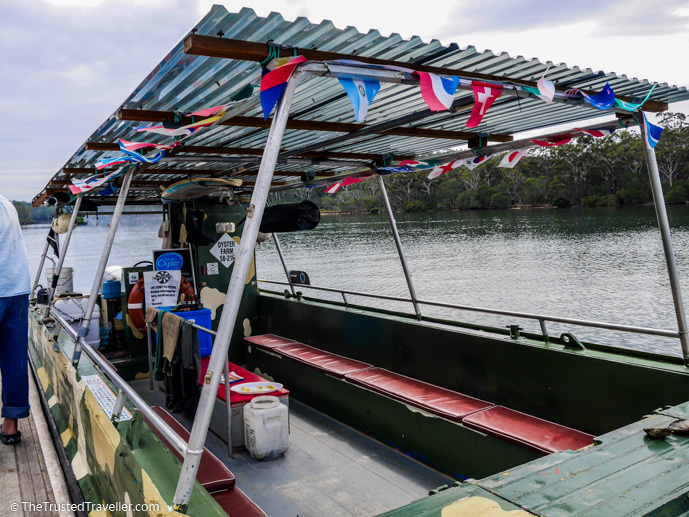 Brett, or Sponge as he likes to be called, runs regular tours of the Pambula Broadwater on his oversized, kitted out, oyster punt and is one of the only people to run an oyster tour on the NSW South Coast. Sponge is a through and through Aussie hard worker with a witty character and a serious passion for nature and what he does, which really comes through on his tours. He hasn’t always been an oyster farmer, having grown up on a farm running cattle, sheep, wheat and canola in Cowra in central west NSW. 10 years ago, in the depths of the worst drought in 100 years, he and his family made the change to oyster farming on the Sapphire Coast. As well as running tours, Sponge is a busy man. He has oyster leases in both Merimbula and Pambula Lakes and a few down the Pambula River too. He’s also a very active member of the community, getting involved in many local events and as a committee member for Australia’s Oyster Coast, an organisation set up to promote and support the oyster growing community on the NSW South Coast. 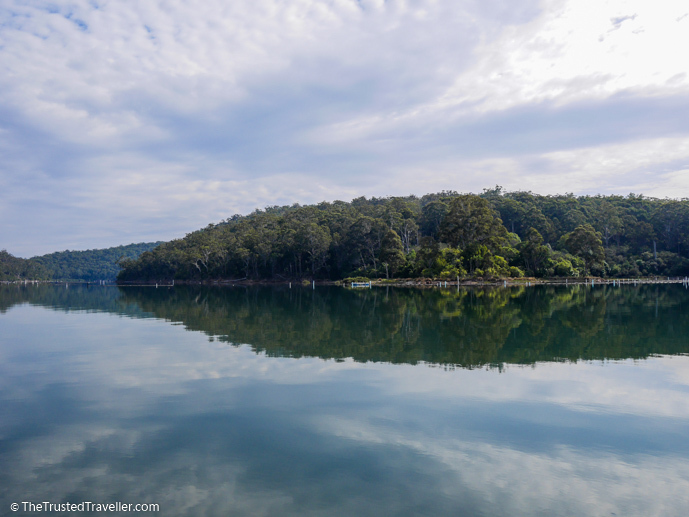 During the tour Sponge takes you to many different parts of Pambula Lake and River to learn more about the area and its heritage; his oyster leases and business; and you might even get to spot some of the local wildlife. Just up river from the jetty where you board the punt is Sponge’s rustic oyster hut where he runs his business from. 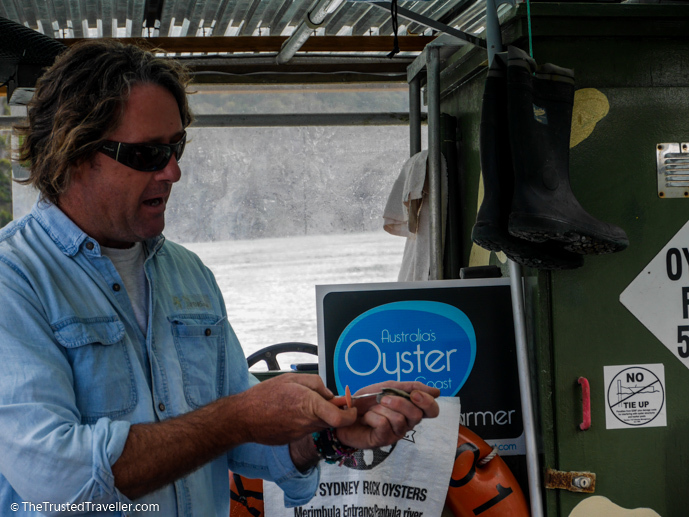 Here he tells us about what goes on inside the hut, things like sorting and grading the oysters. Already, this early in the tour, we got the sense that Sponge is one hard working man with a lot of manual labour involved in his work. 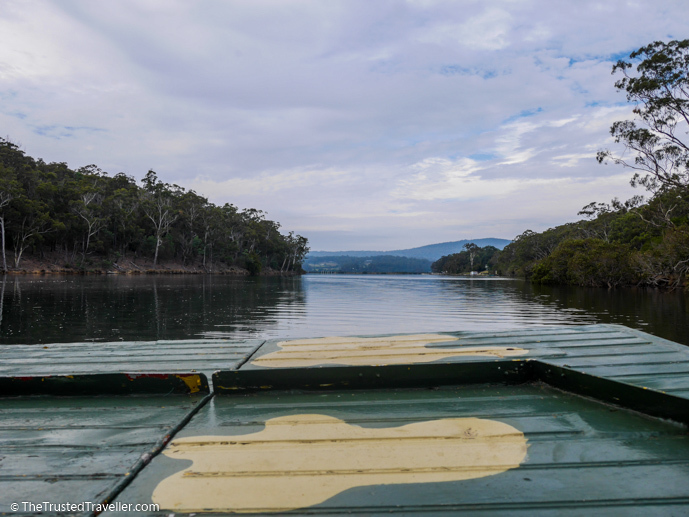 Next stop is at the junction between the Pambula and Yowaka Rivers where Sponge tells us all about the history of the region and its traditional indigenous landowners, the Thaua people. It’s here that his passion for this beautiful part of the world starts to shine through. 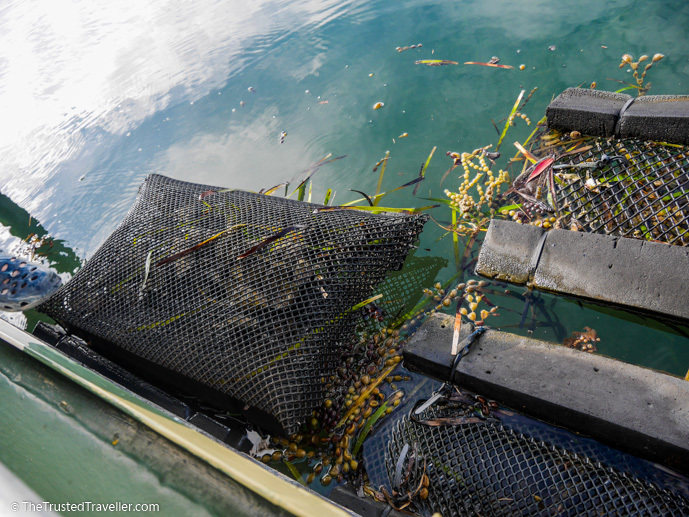 Making our way out onto the lake, the conversation turns from history to the process of oyster farming as we start to get a closer look at oyster leases. 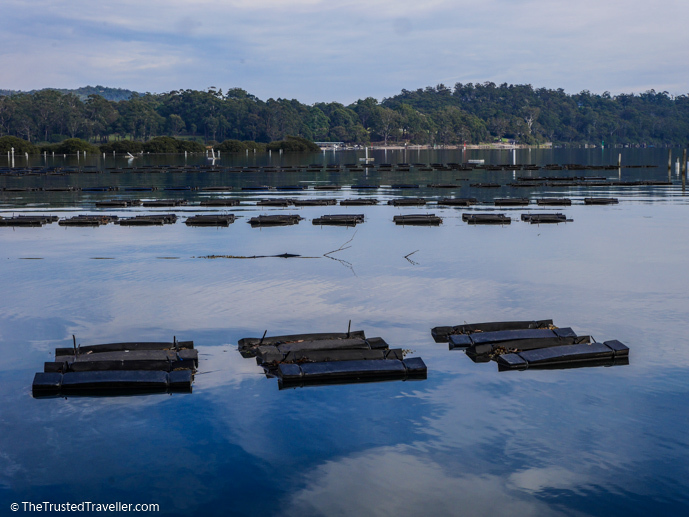 Sponge tells us all about the different oyster farming methods and how oyster farming is evolving, with new methods of farming and equipment being used. He talks about the long process the oysters go through before they make it to your plate in a restaurant. 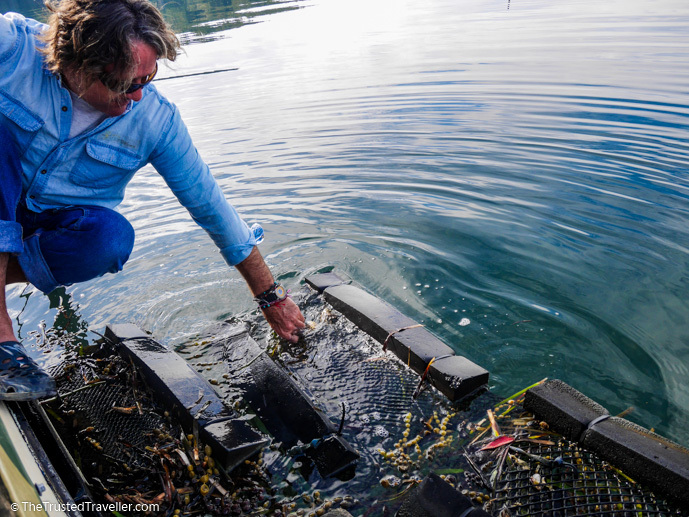 Everything from the catching of oysters to the care taken to ensure the harvest is as good as can be and to the critical problems that an oyster farm can face. 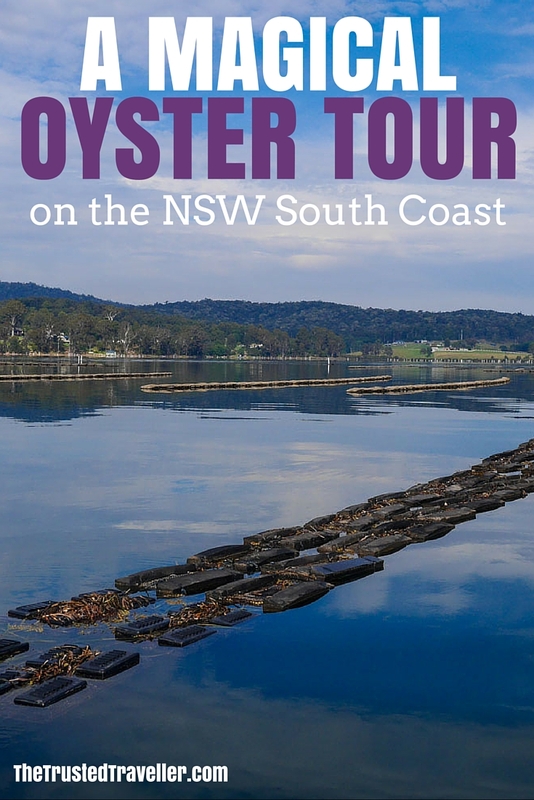 We learn about the different types of oysters grown in the area, Sydney Rock which are smaller sweet tasting; Pacific, large oysters popular for export to Asia; and the Angasi oyster which is the only type of oyster native to the area. Sponge then ties the boat up to one of his leases in the middle of the lake so we can peer over the sides to get a good look. At this point he even pulls an oyster bag out of the water, harvesting a few oysters for his shucking demonstration later on, one of which I am lucky enough to try. The tour continues back to the river where Sponge talks a bit more about the indigenous people and how oysters were one of their main food sources. He points out ancient midden sites along the banks as well as a few eagles nests up in the trees. We even get a rare few moments watching a sea eagle watching us up in the trees. It’s at this point that we get to try an oyster or two for ourselves as Sponge produces a plate of the fresh oysters harvested just the afternoon before for our tasting pleasure. We eat our oysters, the freshest we’ve tasted, while cruising along the river taking in the calm water and bushy surrounds. It’s the perfect end to a highly enjoyable and informative cruise. 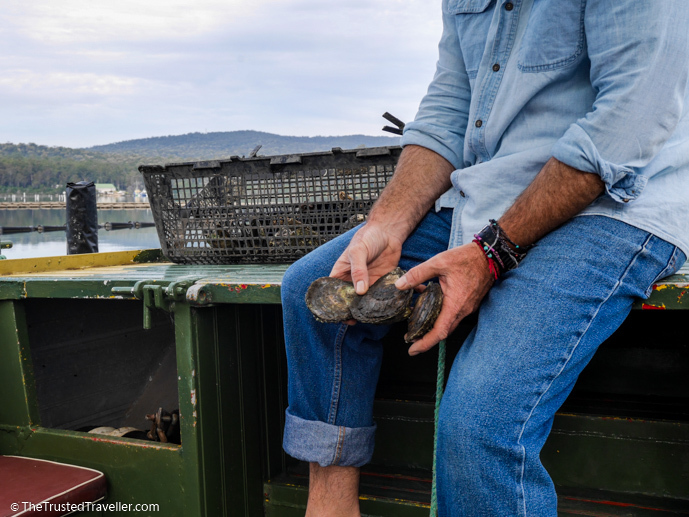 Sponge is most definitely someone you have to meet when visiting the region because of his absolute passion for oyster farming and his own backyard. 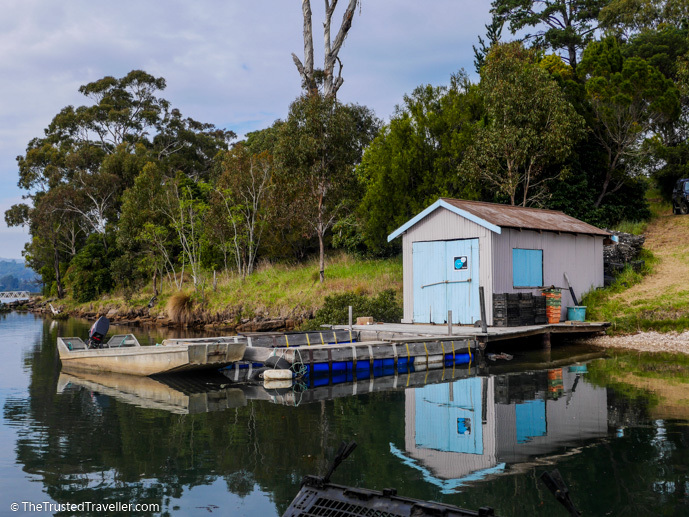 You can learn more about Sponge and Australia’s Oyster Coast by taking one of his Magical Oyster Tours which leave from the Landing Road wharf, about 4 km south of Pambula. Tours are run dependent on numbers so bookings in advance are essential. More information on prices, times and bookings can be found on his website. We would like to thank Sponge for hosting us on his tour. As always, all opinions expressed in this review are our own and were not influenced in any way by receiving a complimentary tour. 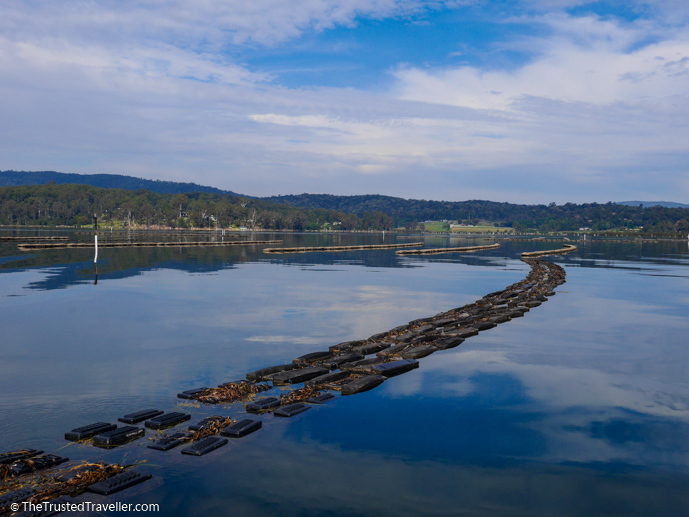 Would you like to take an oyster tour on the NSW South Coast? Do you like to eat oysters?